Residential home values in Houston‘s Energy Corridor have remained relatively strong even during the soft real estate market of recent years. One of the factors that has influenced the consistently strong home values is that West Houston’s Energy Corridor is home to many of the most powerful oil and gas companies in the world employing thousands of people. KBR Inc. in recent years has employed approximately 200 people in their West Houston location on St. Mary’s lane near Dairy Ashford. The company has recently signed an 11 year lease for 78000 square feet of office space in the Transwestern Eldridge Oaks building at 1080 Eldridge Parkway with an option to lease an additional 150000 square feet. more space is needed in the Energy Corridor as a result of additional project work secured by the oil and gas unit. 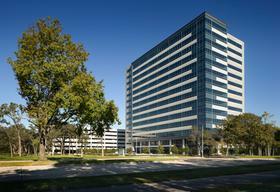 The signing of this new lease by KBR is another positive factor for home values in Houston’s Energy Corridor. If you are considering a move to West Houston contact Connie Vallone Real Estate Broker with First Market Realty specializing in West Houston and the Energy Corridor.